All the excitement has really been getting to me. 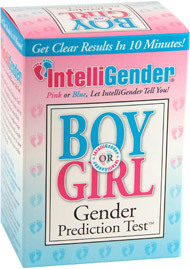 So, despite all the controversy about the intelligender tests (accuracy is said to range from 0-80% with the company claiming 80%), we bought one, and the result was “girl”. Positive all along that we are having a girl, one of our besty couple friends bought us our first little outfit. Adorable! We’re going to repeat next week. We won’t know, of course, until our 20 week ultrasound, but it is really fun! Mickey on Now on to The Fun Stuff! Two Alamo City Dads on Now on to The Fun Stuff! Brandon on Now on to The Fun Stuff!